Bankruptcy Information | Should the business file bankruptcy? 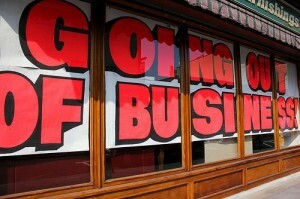 Should the business file bankruptcy? Home > Bankruptcy Basics > Should the business file bankruptcy? 10 Nov Should the business file bankruptcy? The first question for a business owner considering bankruptcy is: do you have the time, energy, and desire to continue ? (Read the other four questions for struggling businesses). Entrepreneurs are the most optimistic, hard working, and determined individuals in the world. Often my task is to puncture their irrational optimism: they are convinced that if they hang on a little longer, work a little harder, things will improve. So, when an entrepreneur tells me they are ready to hang it up, I listen. No matter how many changes bankruptcy might make in the financials, if the individual is spent, it’s time to move on. Running a small business is incredibly hard, long before we got to our current, “challenging” economic environment. When I hear the engine for that particular business is willing to quit, I seldom argue. Then we look for avenues to wind down and maximize the value in the assets and operations. Bankruptcy has become such an integral part of the commercial landscape that we tend to overlook the fact that a business can shut down without a bankruptcy filing. This is easiest when the business is conducted as a corporation or a limited liability company. Those entities are separate legal “persons”, and the owner of the entity is not necessarily liable for the debts of the entity. A separate entity can simply close its doors, liquidate its assets and pay its debts as far as the money goes. An entity without assets need not fear being sued: it has nothing it can lose to a creditor who gets a judgment. Things are more complicated when the owner operates as a sole proprietor, There is no legal distinction between the owner and the enterprise he runs. Even if the business uses a fictitious business name, the operation is really indistinguishable from the owner. The debts of the enterprise are the debts of the owner. Then the question becomes whether a bankruptcy is necessary for the owner who is moving on. The owner may need bankruptcy’s fresh start so he can get on with life. Watch for exploration of the second of my questions of an owner: Could the business prosper if it wasnâ€™t servicing old debt?